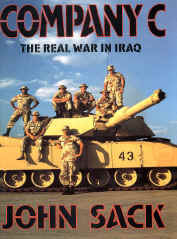 John Sack was the only reporter at the front throughout the Iraqi War and at the biggest tank battle in American history. This is his report. "John Sack writes like a force of nature," Dan Rather. "Thank God for his wonderful book—a masterfully written grunt’s-eye view of the war as fought by Company C. If you can deal with the crass, cynical, sentimental, childish, hard-drinking, enduring, profane, faithful, ultimately courageous combat soldiers—well, by all means, read on," The Charleston Post and Courier. "A story told in fascinating fashion," The Louisville Courier-Journal. "An absorbing account," The Providence Journal.